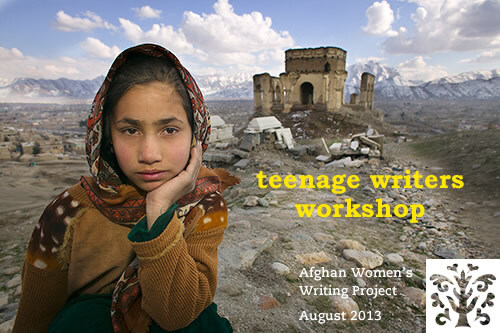 Editor’s note: This piece was written for the Teenage Writers Workshop feature package coming this week. So much wise advice here, Sadaf! I love your metaphors. Life is such a gift–many problems come our way, but so many blessings, every day. You show this beautifully. Keep up the good work! This is very beautiful and wise! I’m so glad you wrote this and shared it, Sadaf. Thank you! How wonderful that your poem was chosen for the blog! I’m thrilled for you. You created some simple images that everyone will be able to identify with. Please continue to write and share your thoughts with others. Beautiful. I agree with Nancy – I want to keep this poem! Great wisdom and nice economy of words here. I hope you have a life filled with lots of poetry. Sadaf, your words bring a whole new perspective to life. They go to much farther lengths than you might realize. Your metaphors are not only empowering, they’re inspiring. This poem reaches out to everyone who reads it and I applaud you. Keep writing with the same wisdom that was in this poem. Sadaf, I love how you think it’s important to live life to the fullest, even when the life around you is falling apart. You think life is like gold so you want to share it, does that mean even if you’re falling apart on the inside, you still want to try and be happy for the others around you? I try to do that all the time. I wonder how you manage to stay so positive in such a horrible time. You are truly amazing Sadaf, an inspiration to young girls and boys. Stay positive my friend, I believe in you.